Multi Man for Immunity and Stamina in Men helps in building immunity, maintain general well being, fulfil daily vitamin requirements of active men. It contains Vitamin C, Vitamin A, Omega 3. Ideal for men who like to maintain good health, general well-being and immunity as well as men who have Vitamins & Mineral deficiency. It is also useful for men who are recovering from illness. Explore the entire range of Multivitamins available on Nykaa. 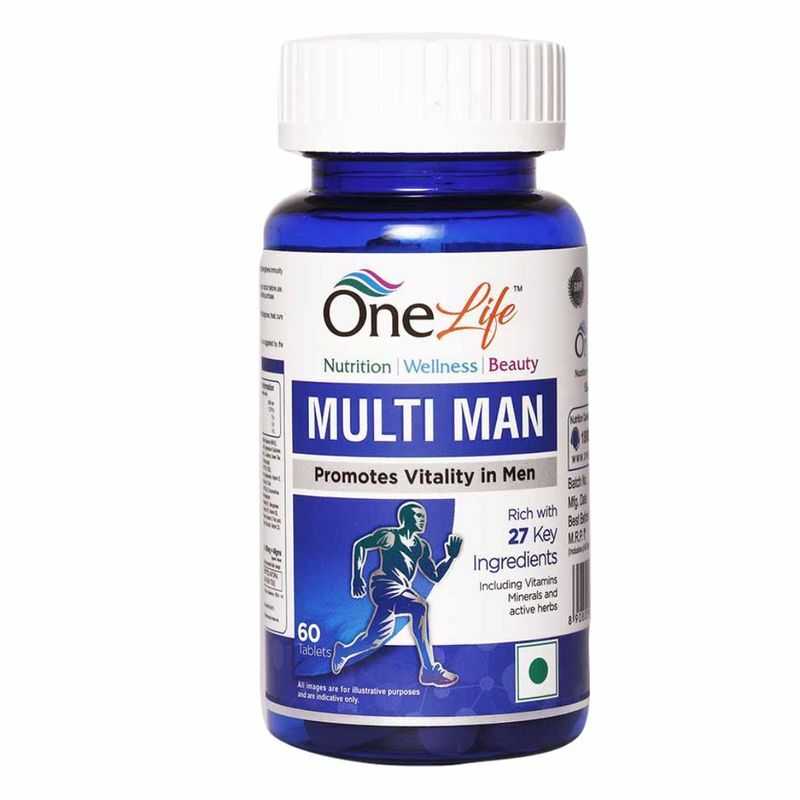 Shop more OneLife products here.You can browse through the complete world of OneLife Multivitamins .